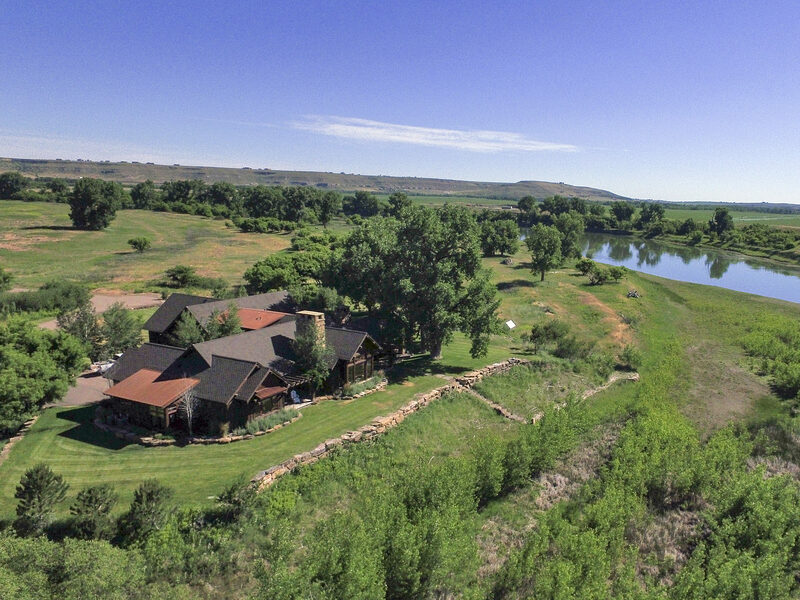 Missouri River Estate, located on the famed Missouri River just south of Great Falls, represents an opportunity to own an exceptionally private estate with architecturally-designed improvements, diverse wildlife and river recreation. This forty acre parcel is located in the Blue Heron Estates Subdivision and has been managed in a manner that embraces the native riparian habitat, which provides natural cover for wildlife including deer, upland birds, turkeys and waterfowl. With over 2,000 feet of Missouri River frontage, the private seasonal dock is ideal for small watercraft including wave runners. The improvements are perfectly sited to capture the expansive river and Wilson Butte views, and include a beautiful home and barn designed by Locati Architects based in Bozeman and extensive landscaping that must be seen and experienced to fully appreciate. 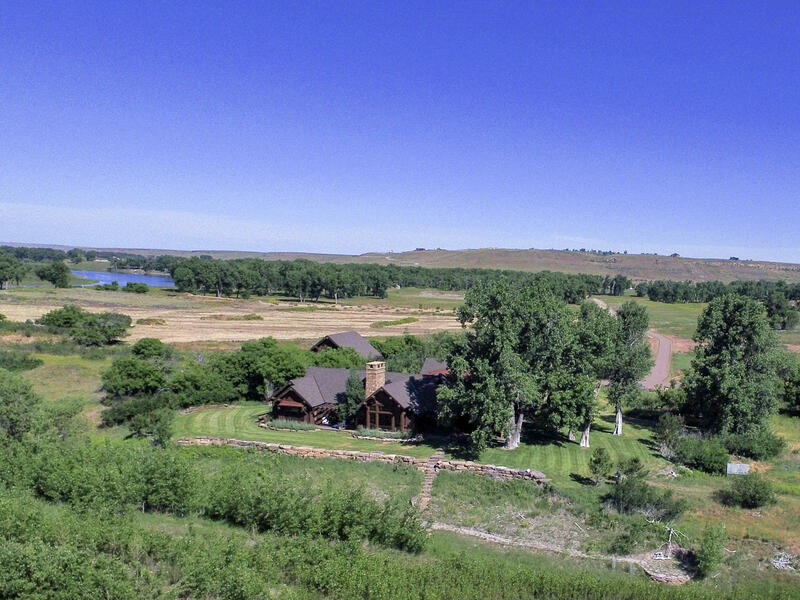 Located in Cascade County’s most traditional urban locale, Missouri River Estate is an exceptional opportunity to own one of the finest homes on the Missouri River. 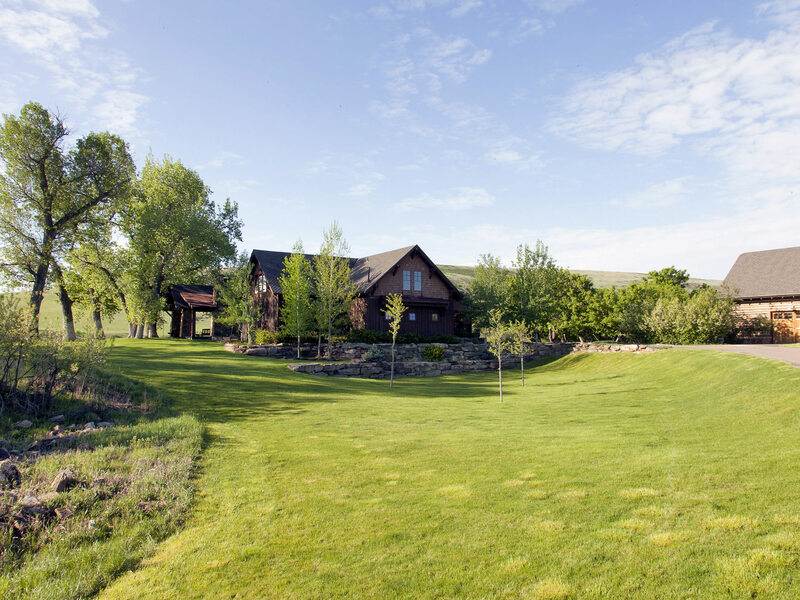 This estate offers a private seclusion that is hard to find in this busy world and will live perfectly as a seasonal Montana retreat, or as a spectacular primary residence. 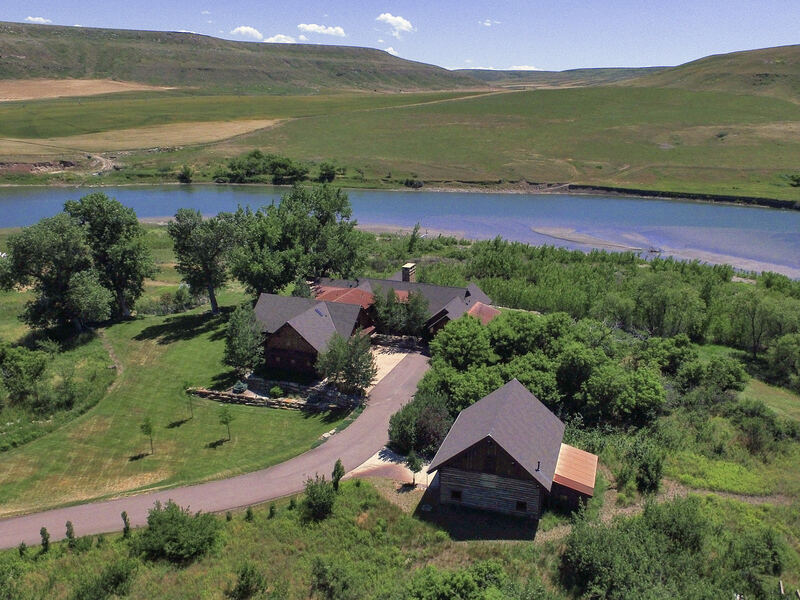 Missouri River Estate is located approximately 10 miles south of Great Falls, Montana with excellent all-season access on paved roads. Great Falls is a convenient 15-minute drive and provides all the services one would expect from a metropolitan city. Known in Montana as the “Electric City,” Great Falls is the commercial and banking hub of north central Montana. With a population of approximately 60,000, Great Falls offers a complete and diverse array of retail, dining, banking, supply and equipment services. There are two quality health-care facilities including Benefis Health Care Facility and the Great Falls Clinic Medical Center that provide quality health care and surgical services. Malmstrom Air Force Base, located just east of Great Falls, is home to the 341st Missile Wing, one of three U.S. Air Force Bases that maintain and operate the Minuteman III intercontinental ballistic missile. Convenient commercial air service is provided at Great Falls International Airport with good connections offered by Alaska Airlines, Allegiant Air, Delta, and United Airlines. Currently, direct flights are available to Denver, CO, Las Vegas, NV, Minneapolis, MN, Phoenix/Mesa, AZ, Salt Lake City, UT and Seattle, WA. For up-to-date flight schedules and airport information, please refer to the airport website: www.gtfairport.com. Great Falls International Airport also has two fixed-based operators (FBO’s) – Holman Aviation (www.holmanaviation.com) and Front Range Aviation, Inc. (www.frontrangeaviationmt.com). All water rights appurtenant to the Ranch will convey with the sale of the Estate. There is one domestic well that services the home and all of the irrigation needs. Please contact Swan Land Company for additional information regarding water rights on Missouri River Estate. The Sellers will convey with the Estate 100% of whatever mineral, oil, gas, geo-thermal, hydro-carbon and gravel rights which they actually own, subject to reservations by previous owners. The Sellers make no representation as to the quantity or quality of any mineral or other appurtenant subsurface rights. The real estate taxes for 2015 were $9,405.57 for the parcel with the improvements and $71.54 for the vacant 20 acre parcel. Electricity is provided by Northwest Energy and natural gas is provided by Energy West based in Great Falls. Dish Network provides satellite television and internet is provided by KDS Networks. Domestic water is provided by private well, and the house is on a septic system. Missouri River Estate, part of the Blue Heron Home Owners Association, pays dues which are currently $250 per year. The Estate sits at an average elevation of about 3,300 feet above sea level. This area is known for its temperate climate, good moisture and fertile ground. The average precipitation is averages around 15.83 inches. The growing season is approximately 120 days starting with frost-free days that typically start in the middle of May. Summer day-time temperatures range from 73 to 85 degrees Fahrenheit June through September, dropping to about 47 degrees in the evening. Winter day-time temperatures average around 38 to 46 degrees with evening temperatures dipping from 18 to 26 degrees. All of the improvements on this Montana property for sale are well maintained. They appear to be functional and reflect no large future deferred maintenance expenses. The Owner’s Home was designed by Locati Architects based in Bozeman, Montana and is a beautiful compliment to the stunning Missouri River setting. 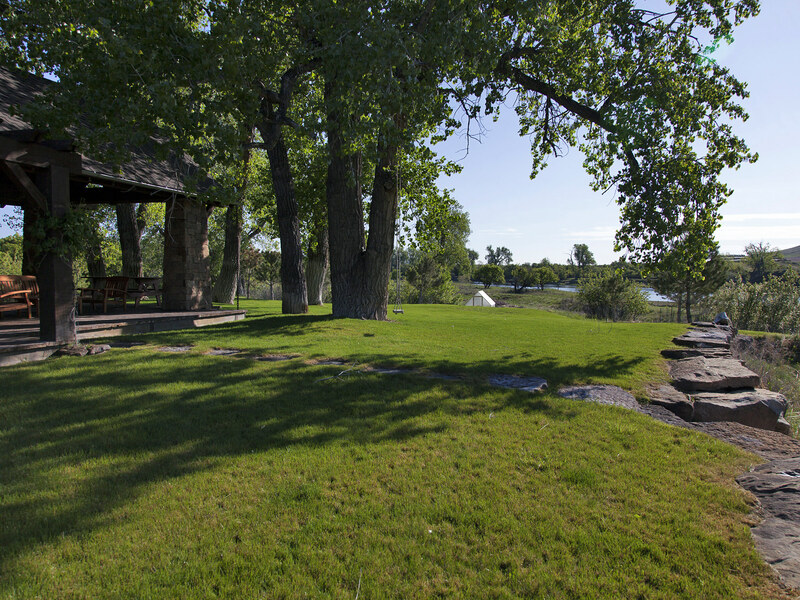 The use of natural materials, stone and earth tones help the Estate blend seamlessly into a grove of mature cottonwood trees that create a private and exclusive river enclave. The consistent architectural details and use of natural stone, wide-plank oak flooring and plaster-wall treatments create a welcoming ambiance that flows through the home. The well-designed spans of floor-to-ceiling windows allow you to experience the dramatic river setting through the entire home. The spacious open floor plan is perfect for entertaining large groups, while maintaining that hard to achieve balance of comfortable living for a couple or small family. The home features a beautiful master suite, four additional bedrooms with attached bathrooms and an exceptional outdoor-living area – ideal for gatherings that are sure to animate this Estate. 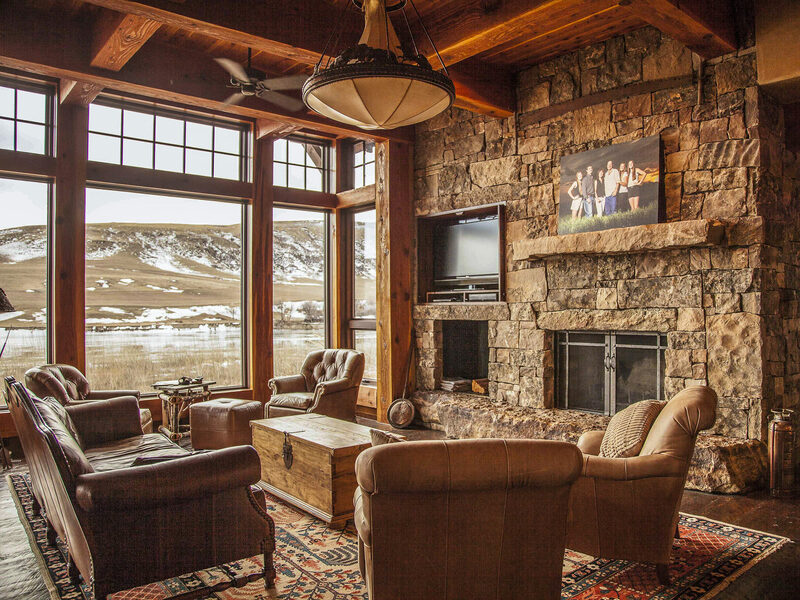 The great room is the core of the home and the dramatic Chief Joseph stone fireplace with a massive hearth and hand wrought iron fireplace doors create a natural gathering place to relive the day and plan the next adventure. The architectural details include a rustic coffered ceiling framed with square-cut timbers that create a dramatic effect. A grand piano completes the space. The open-floor plan flows into the dining room with a farm-style table and leather chairs that are perfectly positioned to admire the landscaped yard, covered porch and the ever changing animation and activity of the river and the wildlife that abounds. The two sets of French doors in the dining room lead to a covered deck. This sublime location is complete with patio furnishings, built-in barbeque station and wood-burning fireplace to provide cozy warmth on those chilly Montana evenings. There is even a rope swing hanging in the cottonwood tree, which welcomes another round at a favorite childhood experience. The extensively landscaped yard has several impressive stone walls and features a network of stone paths and mowed trails that allow easy access to the entire property. No details were overlooked creating the stunning kitchen, which will suit even the most discerning gourmet chef or catered event. The top of the line appliance package includes a side by side Subzero refrigerator/freezer, a Wolf range with double ovens, six burners and a griddle. A water faucet built in to the custom tile above the range provides for ease of filling pots. 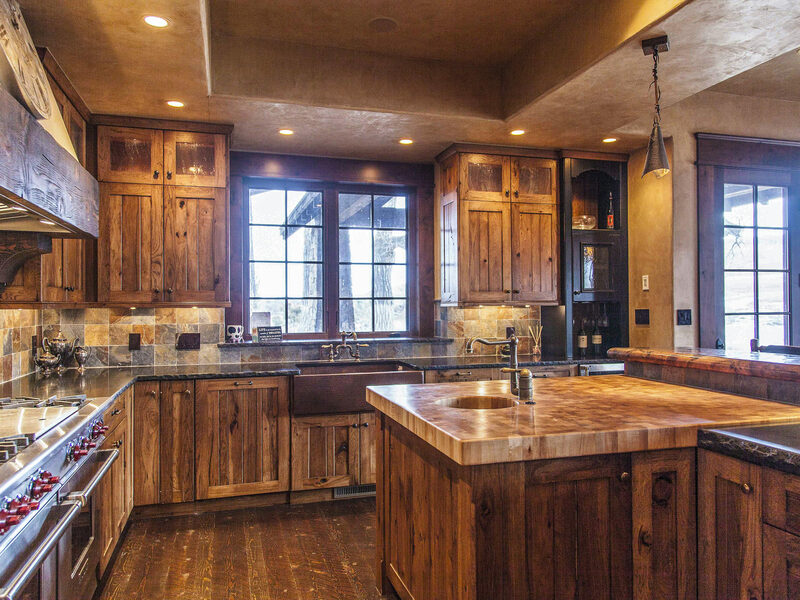 The additional custom features include lighting, cabinetry and a built-in butcher-block island with prep sink. Slab counters with hammered rough edges and a four-seat bar complement the rustic aesthetics of this very functional and appealing kitchen. There is a convenient corner of the kitchen devoted to a Viking beverage chiller and lighted wine cabinet. The functionality of the kitchen design is completed with a walk-in dry pantry that has a prep sink, counter for small appliances and an additional Viking refrigerator/freezer. The office features a wall of built-in custom cabinets with shelves, counters and drawers, essential for a professional-home office. The office has French doors that open directly onto a stone patio to continue the theme of easy access between the river setting and the home. The master bedroom features a gas fireplace with natural stone and a custom-upholstered window seat to enjoy the commanding river views. The master bath has a fully-tiled shower with a European glass door, a luxurious hammered-copper soaking tub and a walk-in closet complete with custom shelving and drawers. The main level of the home also has an additional guest room with a private bathroom, and a powder room off the kitchen. The upper level of the home is set up for entertainment with a full wet bar and Viking beverage chiller, pool table, large flat-screen TV, built-in shelving and comfortable furnishings. There are three spacious bedrooms on the upper level that have window seats to experience the beautiful setting from an elevated perspective. Two of the bedrooms share a Jack and Jill bathroom, while the third has a private bathroom. All of the bedrooms offer large closets, and the bathrooms are adored with full tile showers and frameless European glass doors. The laundry room is complete with two front-loading washer-dryer sets, a large double-bowl porcelain sink and functional cabinetry. In the laundry room, a top of the line Solo dog door accesses a kennel and dog house that is nicely incorporated into a landscape feature off the covered deck. There is a very efficient and spacious mud room with custom cabinetry, benches and hooks that leads to the expansive three-car garage. The garage is oversized and well equipped with a dog wash station and a multitude of built-in storage cabinets and shelving. There is a private exercise room located off the garage complete with equipment. 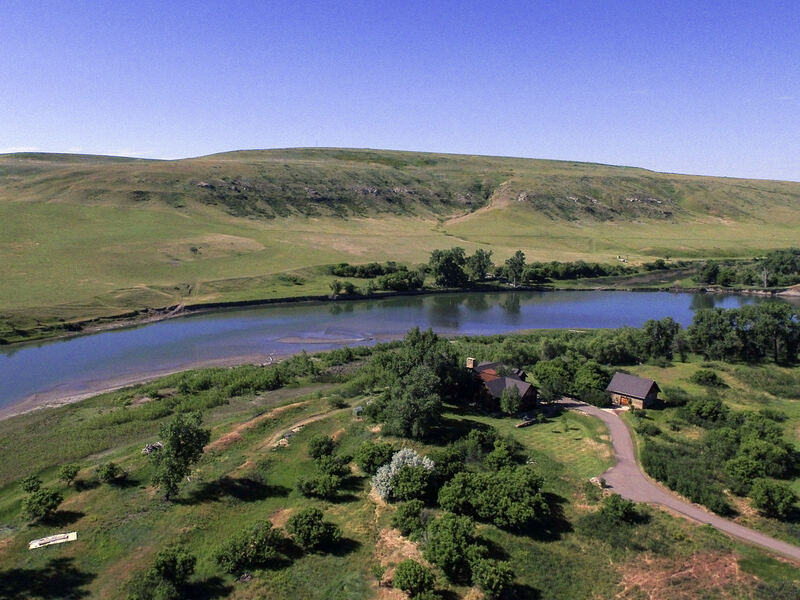 Missouri River Estate is being offered furnished, with a list of exclusions to be provided by inquiry to the Bozeman, Montana office of Swan Land Company. 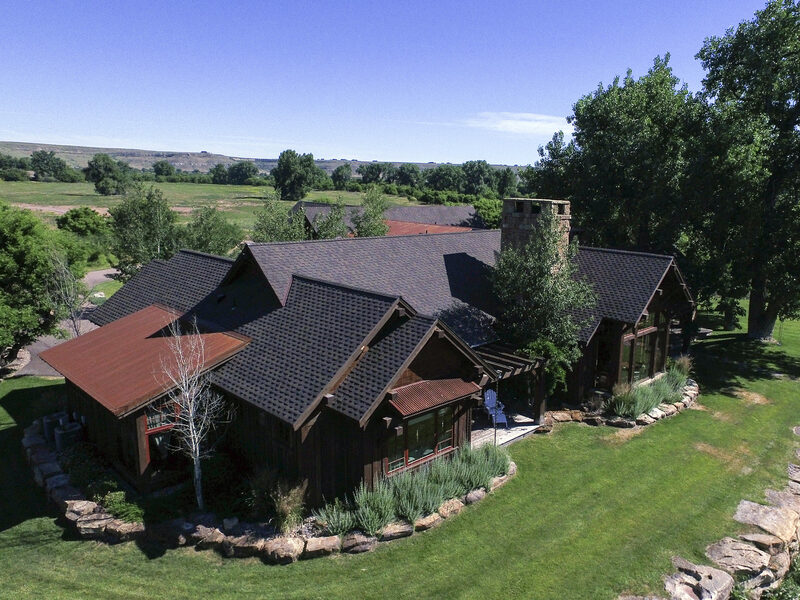 Missouri River Estate features a historic barn that was reclaimed from a notable ranch on the Rocky Mountain Front and reassembled on-site to create a completely modern and functional equipment barn with historic aesthetic appeal. The 1,260 square foot barn, with weathered square-cut wood siding, has a full concrete floor, work bench and built-in shelving. The loft exhibits a wood floor, rustic exposed-ceiling trusses and square-cut timbers. The loft is accessed via a ladder, but has an electric coffing hoist for moving heavy objects through the large hayloft-style opening in the floor. The opening, wrapped with timbers and wood panels for safety, has swinging gates for easy hoist accessibility. The exterior roll-up door provides convenient entry to comfortably house all of the landscape and water-sport equipment necessary to fully enjoy Missouri River Estate. Central Montana is well known for the substantial and various hunting and fishing opportunities. Although only 40 acres in size, Missouri River Estate offers reliable waterfowl hunting and limited upland bird and deer hunting. With the astute habitat development by the current owners, the pheasant, waterfowl and deer populations are thriving. The Missouri River is directly in the Pacific Flyway, one of the continental waterfowl-migration routes that runs north and south from Alaska to Patagonia. These heavily-flown lanes are situated between mountain ranges along principal river valleys such as the Missouri. Missouri River Estate is strategically located in this major flyway on the eastern front of the Rocky Mountains. The Estate, with its plentiful river frontage and tremendous habitat, provides all the necessary elements for successful pass shooting ducks and geese traveling the river corridor. Fly fishing on the Missouri River is exceptional and recognized world-wide as a premier angling destination. 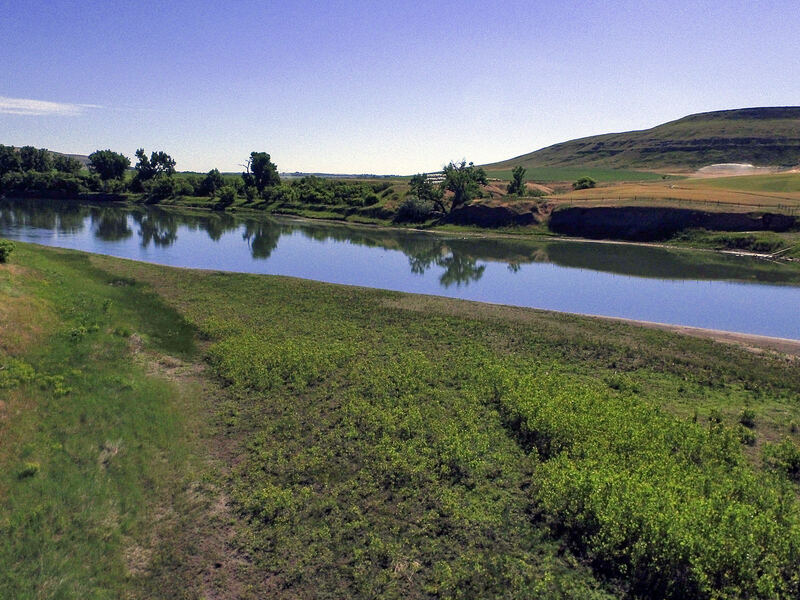 Missouri River Estate is downstream from the most famous and heavily-used stretch of river that starts at Holter Dam and extends downstream to the town of Cascade. This stretch offers world-renowned fishing with fish counts that regularly exceed 6,000 fish per mile. The Missouri is an ideal river for both wade fishing or in a drift boat, with numerous public-access points and boat launches. The next owner will enjoy a cornucopia of remarkable recreation including fishing, hunting, hiking and motor boating on the river, or nearby lakes like Holter, along with all the amenities of Great Falls readily at hand. This stretch of the Missouri lends itself perfectly to small motorized craft that can easily provide access up and down the river. The current owners utilize a seasonal dock as a base for small watercraft including wave runners. The various boating and water-sport opportunities at Holter Lake are about an hour drive to the south near the town of Wolf Creek. 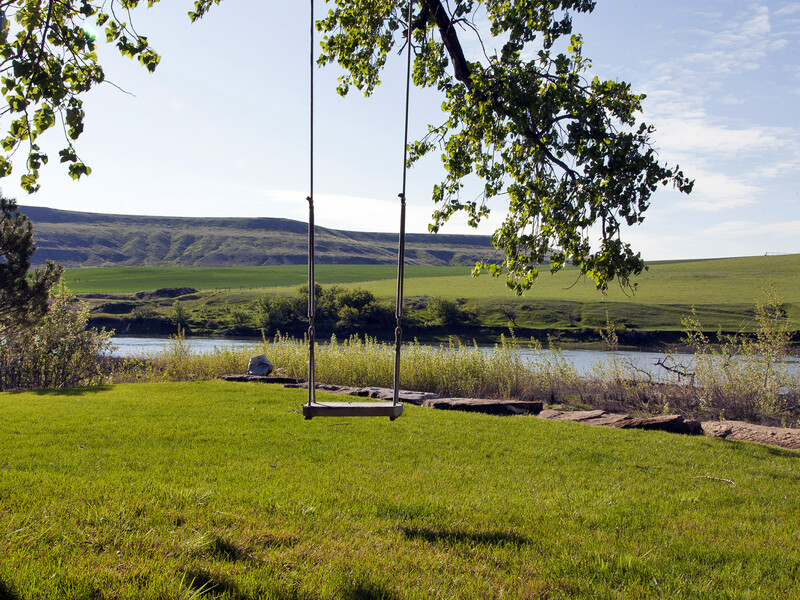 An untapped recreation opportunity for the next owner is to float the famous and beautiful Smith River Canyon and take out at Missouri River Estate. The Smith River, which requires a permit, flows into the Missouri a few miles upstream from the home and would allow for a multi-day float experience from Camp Baker down the Smith River right to your house. The 68-mile float would be a truly unparalleled experience of serene beauty, solitude and exceptional fishing. The 424-foot high Tower Rock, a landmark for native tribes, the Corps of Discovery, fur trappers and traders, is situated about five miles southwest of the Estate. It was not until 1882, that Paris Gibson and James J. Hill, a railroad magnate, made plans for a city in this area near the great falls that they noted would make a valuable connection for the railroads. Gibson, a practical and extremely thoughtful man, organized the town ensuring the streets were laid out in a precise, arrow-straight pattern. Believing that beauty was an essential aspect in a city he set aside 886 acres for city parks and made sure that elm, ash, and fir trees were planted on every street and boulevard. This planned power city, situated to take advantage of the hydroelectric power of the waterfalls of the Missouri River, is known as the “Electric City” – Great Falls. The Great Falls post office was recognized by the United States Postal Service in 1884. Within six years the Black Eagle Dam would be providing the city with hydroelectric power. This thriving industrial and supply center would become one of Montana’s largest cities. Today, Great Falls is the third largest city in Montana with a population of just over 59,000. Missouri River Estate is located in Cascade County’s most traditional urban locale and is an exceptional opportunity to own one of the finest homes on the Missouri River. 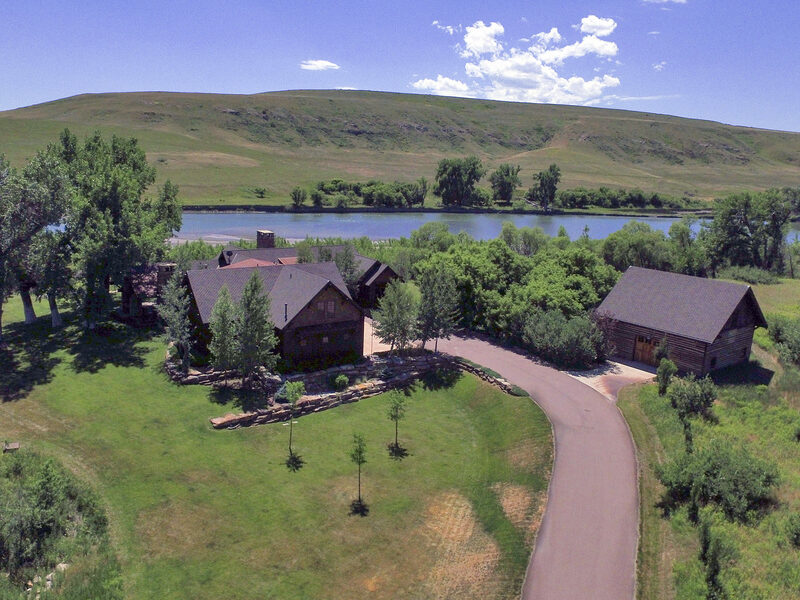 This estate offers a private seclusion that is hard to find in this busy world and will live perfectly as a seasonal Montana retreat, or as a spectacular primary residence. It is rare to find such a beautiful private setting with improvements that are exceptionally well executed and in move in ready condition. Buyers’ Brokers are welcomed and invited to contact Tim Anderson in our Bozeman Office for information regarding Cooperation Policies.